Louth Town will be in Mason Bros Lincolnshire Junior Cup ation on Saturday. 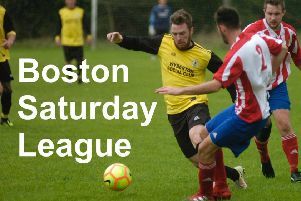 They travel to face OLd Doningtonians, who play in the Workforce Unlimited Division One of the Boston and District Saturday League. The White Wolves will be looking for their first win of the campaign after kicking off the Lincs League season with defeats at Grimsby Borough Academy and Skegness Town. Saturday’s scheduled match against Wyberton was postponed.